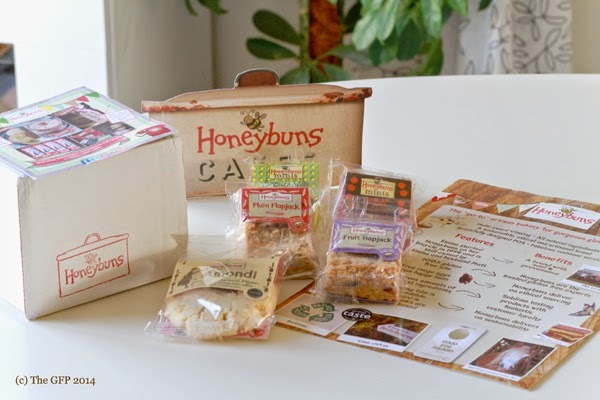 At the very end of March, I was contacted on twitter by the lovely people over at Honeybuns http://www.honeybuns.co.uk, inviting me to review some of their gluten free cakes and bakes. I've tried Honeybuns products before, so it was a treat to be offered to test out some of their range. The packaging and branding is inviting. Everything is clearly marked gluten free on the front. Any additional allergens are listed on the back. I like how once you open the packaging, on the inside there is a lovely little 'notice board' that has cool factoids, advertising of their own baking book or their Bee Shack café, there are neat tips that can be found for baking, and a brief history of Honeybuns. There's a lot of (interesting and fun), reading to be had. 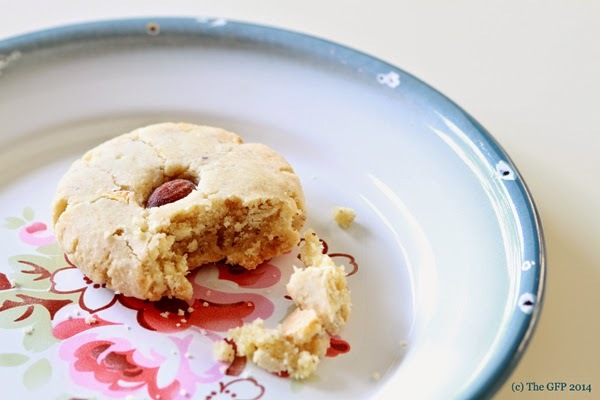 The Snowy Hills shortbread is my favourite Honeybuns bake that I've tried. It's essentially a layered shortbread tray bake with polenta, ginger and ground toasted almonds, with lemon curd and a frangipane topping. The texture is good. Chewy with a nice feel in the mouth. Absolutely perfect with a cup of tea. It's the right amount of sweetness too. The Heathcliff Brownie is a gluten free brownie with almonds and orange zest. The brownie also had a nice texture. I'm not a fan of orange and chocolate together (I am definitely in the minority! ), so it wasn't my thing, but I can attest that both my daughter and husband thought it was delicious and were looking for seconds. Out of the two flapjacks, I really enjoyed the plain one the best. So good. A straightforward flapjack - chewy, sweet, with a satisfying taste. The fruit flapjack was nice, but I am not a fan of raisins - though I liked the cranberries in it. If you enjoy fruit in a flapjack - this one is for you. Not listed is their cranberry and pecan flapjack, which is so tasty. I picked one up locally last weekend. I finished it so quickly, I just had to go and purchase another one, for later - of course! Honeybuns are very proud of their green credentials. They go out of their way to create a sustainable, ethical and artisanal brand that tastes great. Their packaging film is biodegradable and you can recycle the cardboard. Even the inks they use are vegetable based! I personally love that they bake with butter! So many brands these days use margarine - which is quite frankly, unhealthy. So it's brilliant to pick up a gluten free treat made with real butter. For that alone, Honeybuns gets a major thumbs up from me.